We loved the overall energy and vibe of the Coral for our family with teens/ tweens. The renovated interior was great. Our room with an ocean view and balcony was spacious and clean. All elements exceeded expectations! Staff was super welcoming and always willing to help. We never had to lift a finger. All inclusive is the only way to go! Loved every minute of our time there and will be back! 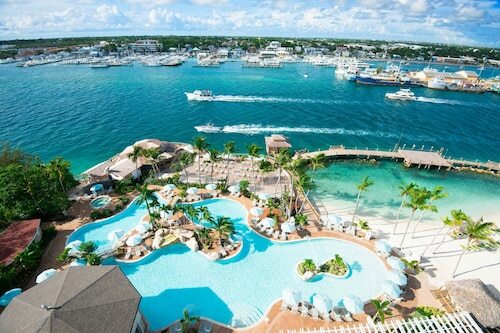 So you're thinking about a trip to Paradise Island? If you want a place to call home that's located near some well-known Paradise Island attractions such as Cabbage Beach, Paradise Island Golf Club, and Ocean Club Golf Course, just go to Orbitz, choose your travel dates, and voilà! Look through the list of hotels and other accommodations to identify those that are near what you want to see. We make it easy to find a convenient flight to Nassau (NAS-Lynden Pindling Intl. ), which is 9.6 mi (15.5 km) from the city center. Find your ideal flight quickly by using the filters on our site to narrow down your search. 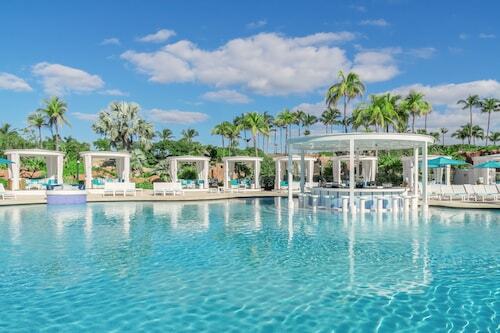 Go for a swim when you stay at one of these Paradise Island properties, noted for their pools. 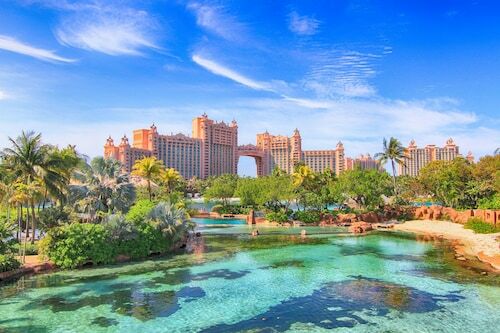 What's the Weather Like in Paradise Island?